A luxury man cave study in faux macassar ebony. With every detail carefully considered to suit the client’s needs. 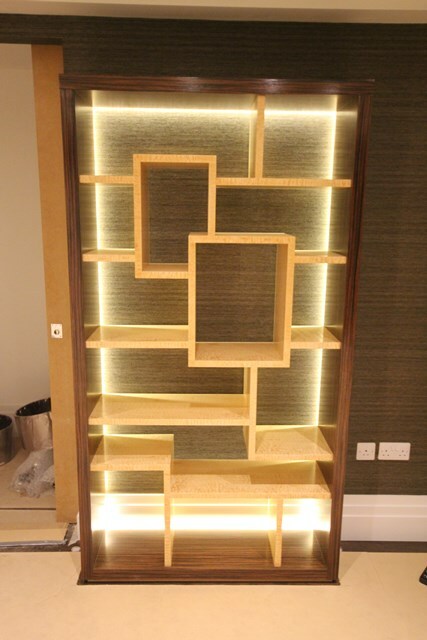 The display shelving are mirror images of each other and include shelves in glorious Quilted Maple veneer. The back edges of the shelves have LEDs built it to highlight the display shelves. Matching low book cases stand behind the desk. 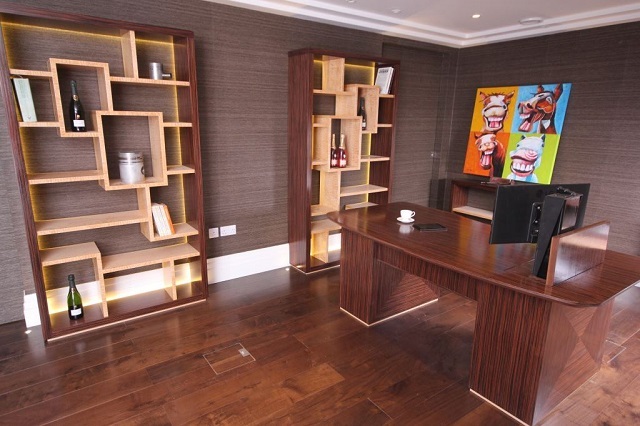 The desk is quite something – generously proportioned with a wrap around shape. 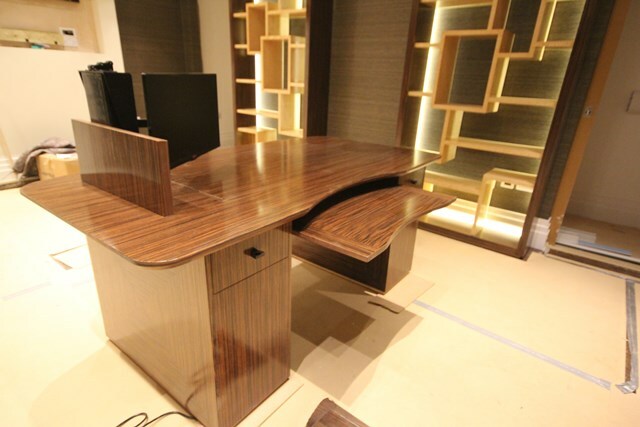 The desk is veneered in faux macassar with the pedestals having a quadrant layout of veneer. It will be a real pleasure for the client to sit behind and to operate. The computer monitor lifts out of the pedestal on a remote controlled lift mechanism. There is also a sound bar incorporated under the desk surface.